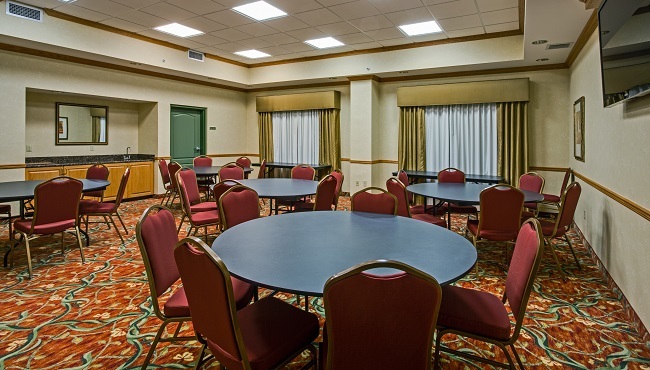 For everything from family reunions and baby showers to boardroom meetings, the event space at the Country Inn & Suites, Pensacola West, FL is an excellent choice. Our meeting room can accommodate up to 40 guests in a variety of seating arrangements and offers amenities to help you look your best, including an LCD projector, complimentary coffee and water service, and free Wi-Fi. Located just off I-10, our hotel helps make your event more memorable by providing planning assistance and a variety of audiovisual equipment rentals and catering options.